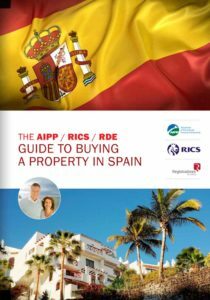 Buying A House in Ibiza, Guide to Property Purchase in Spain with R.I.C.S. PDF download. If you are thinking of buying a property in Spain but don’t know where to start, your best bet for reliable, and all importantly independent, information is probably the guide written in English called “Guide to Buying a Property in Spain”. 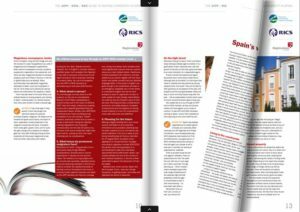 The guide has been created by the Spanish School of Property Registries, the British Royal Institution of Chartered Surveyors (RICS) and the International Association of Property Professionals (AIPP). 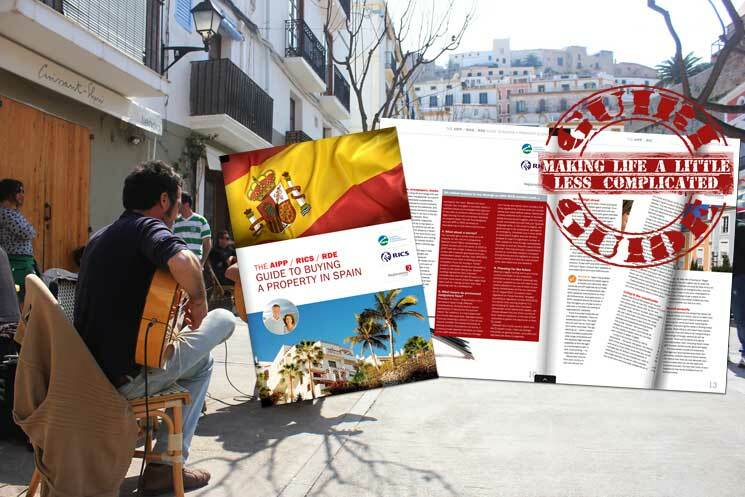 The document has been created in order to provide foreigners who want to buy a first or second home in Spain with the necessary up-to-date and correct information on the legal requirements and step-by-step details of the process that they have to go through. The guide is based on the experience of British couple, Frank and Diane, who decided to buy a house in Spain to live in after they retire. It follows them through their journey right from the first step of looking for a property up to registering their purchase with the Registro de la Propiedad and paying the taxes at the end of the procedure. It is full of tips, advice, warnings and information about the different legalities you will come across when buying property. The guide has been brought out now because statistics have revealed an increase in the number of foreigners buying real estate in this country and because the holiday-home market now makes up a third of all property purchases. In 2009, foreigners made up 4% of the total of property sales in Spain. However, by last year this had shot up to 13%, and during the first quarter of this year, 12.5% of all purchases had been made by foreigners. The Brits currently purchase the greatest volume of property in Spain, averaging out at one out of every five purchases to foreigners. They now make up 20% of all property sales to foreigners and are followed by the French, German and Belgians. The number of Russians and Chinese buying Spanish real estate has fallen quite dramatically, and is down to about 4%. The strength of the British pound, its stable economy and the reduction of Spanish house prices are the reasons behind this recent surge of British interest, which is mainly centred in areas around the Mediterranean coast. The most popular regions for foreign property buyers include the Balearic Islands (33.5% of all purchases), the Canary Islands (27.5%) and Valencia (25.7%), while smaller areas such as Marbella and Alicante are also hotspots for British buyers in particular.